Faced with their first microwave oven repair, the bowels of many Grasshoppers begin to quake uncontrollably with trepidation. Well, you just relax, Grasshopper, and clean out those skivvies ‘cuz once you know a few tricks, you’ll see that microwave ovens are no more complicated than any other appliance. The Samurai shall reveal all these truths unto thee and the Truth shall set thee free. Please open your Appliantology hymnal and sing along with me now. Almost all microwave ovens have a control compartment that you access in various ways. We won’t get into that here but if you need help with your specfic model, just start a new topic in the Kitchen appliance forum at the Samurai School of Appliantology and we’ll hepya there. In this post, I’ll just go over some of the basics to de-mystify microwave ovens for you. Now, don’t the let the word “radiation” make you all a-sceered and quivery. Gird up your loins like a man! Did you know that light is also a form of radiation? So whaddya gonna do, go live in a dark cave the rest of your life or get a little edumucation from the Samurai? Still there? That’s the warrior spirit! The radiation in microwave ovens is what we professionals call “non-ionizing” radiation. That means, like light and radio waves, it doesn’t kick out radioactive particles. So it’s a complete misnomer to refer to microwaving food as “nuking” because it has nothing in common with nuclear radiation. Feeling better already? Good, let’s continue with our hymnal. When you’re ready to disassemble the microwave oven and do some troubleshooting, you’ll begin the same way you would for any other appliance: UNPLUG IT! After you get the control panel open, there’s just one other safety thing to do before you start sticking your paws all in there: discharge the high voltage capacitor. The HV capacitor can hold up to 2,000 volts which can really curl your hair. Don’t start freaking out on me, all’s you gotta do is short the terminals together like ahso. It the capacitor is holding charge, it can snap like a fire cracker and make a cool-looking flash-bang so… heads up! Awwite, with that bit of funness outta the way, we can proceed to the meatus of this troubleshooting membrane. Awwite, there you be. If you need more hand-holding, come start a new topic in the Samurai Appliance Repair Forums. 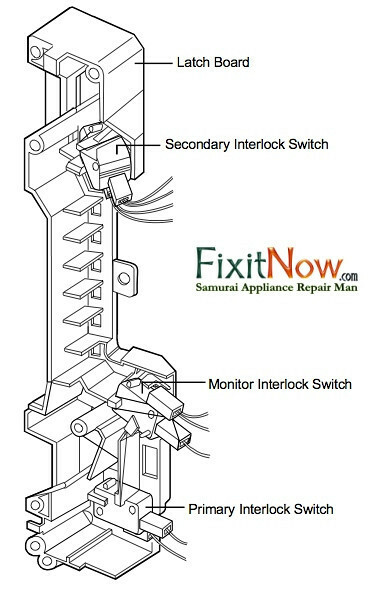 This entry was posted in Microwave Ovens on June 22, 2010 by Samurai Appliance Repair Man. Gutting my microwave does not make my bowels trepidate as much as the way you propose to discharge the HV capacitor. 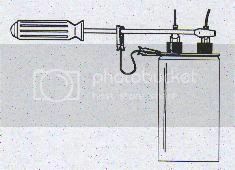 –	Produce a current high enough to weld the screwdriver to one or both the contact, depending on materials involved. This is not a joke: let’s say a 2000uF capacitor still measures 2kV, that’s 4 coulombs of charge, which, when discharged within, say, 10 ms, a conservative estimate, still yields 400 A of current, not to be messed with. 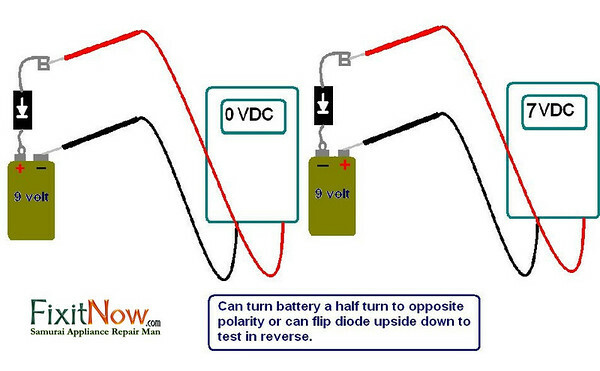 A more realistic estimate would be to consider that the 2kV will discharge through the internal resistance of the capacitor plus that of the screwdriver, which will be at most half an ohm, producing an instantaneous initial discharge current of 4000 A. –	Or produce internal damage to the capacitor, resulting in further malfunctioning of the said microwave, whose life could end in quite dramatic fashion if the internal insulator between the plates of the capacitor is damaged. –	Or worse, produce enough sudden internal heat inside the capacitor to boil the electrolyte (if any) which may in turn cause the capacitor to violently discharge its guts in, say, your eye. Although you may have done this successfully numerous times in the past, I would respectfully recommend that you replace the said procedure with a discharge through a suitable HV resistor to prevent all of the above on top of the big spark, and that for your own future well-being you stop doing that yourself. I know, most DIY repairmen do not have such a resistor, but it is still IMO a better proposition than the screwdriver. If you don’t own one resistor yourself, you can order a pack of 10 here http://search.digikey.com/scripts/DkSearch/dksus.dll?Detail&name=100KBJCT-ND . You just have to be patient enough to let the resistor discharge the capacitor and handle the resistor with the proper insulated pliers, but what’s 5 minutes of your life, just crack a beer.